This new Quantum Dot technology from Samsung makes a play on the OLED lettering but without the OLED technology. OLED and QLED may seem similar as acronyms, but are as different of TV technologies and LCD vs. plasma. QLED (quantum light emitting diode) is a souped up LCD (liquid crystal display) with LED backlighting and a Quantum Dot QDEF layer between the LCD panel and the LED backlighting. OLED TV technology is lit by the organic light emitting diodes themselves rather than by a backlight and employs no LCD panel. It's actually more similar to plasma TV technology in this way. The difference this year in Samsung's QLED offering and last year's Nano Crystal technology is improvements in the QDEF layer or quantum dot layer whichever you want to call it. The quantum dot layer (also called the QDEF layer) is a stack of ultra thin film located between the LCDs (liquid crystals) and the front protective glass or plexi layer. Samsung has added a metal alloy element to the quantum dot layer that enhances brightness luminance up to 1500 to 2000 nits. Samsung claims that it has done this without destroying color volume – or the ability to deliver accurate color at very bright levels. Samsung further claims that these new QLED TVs will be able to read the interior ambient room light conditions and change the brightness needs of the TV to optimize viewing. Think dark room/light room. While adjusting brightness for room light levels technology has been around for a couple of years, I havent seen it done particularly well yet. Maybe these QLEDs will have a selling point there. The ability to product a very bright, yet colorful picture could be a selling point for very bright room conditions. Further benefits of the QLED quantum dot technology are a wider color gamut (more colors) produced by better disbursement through the diffuser film and greater detail in images. Think of the quantum dot layer in the QLED TV as a color converter which assists the LCDs in creating more colors. They will need it. LG (and now Sony) has the upper had with OLED technology again this year. 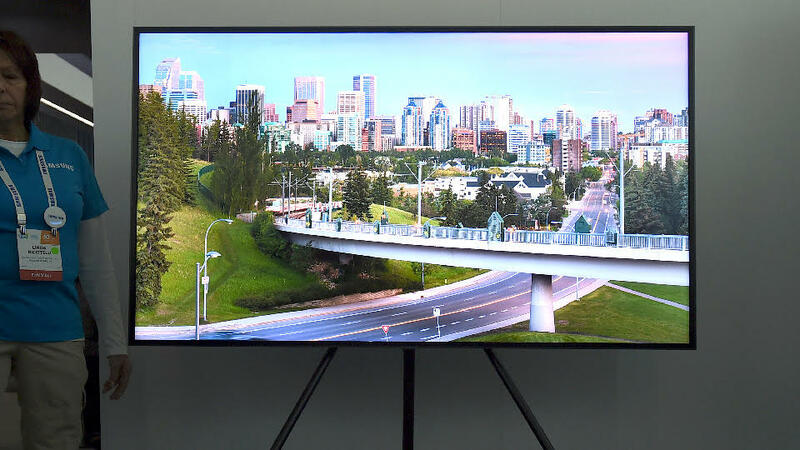 It's a better technology due to perfect black levels (no backlight), near perfect side angle viewing which has always been the bugaboo for LCD-LED TVs, and colors that look almost better than real life.